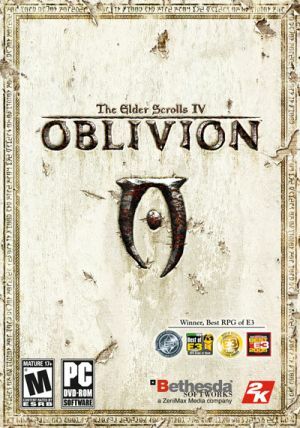 GB: How long has Oblivion been in development and what section of the game is currently being focused on the most? Gavin: We've been hard at work on the game since just after we got Morrowind out of the door. No rest for the weary here! We started out by churning out huge documents filled with crazy ideas about how to make the greatest RPG ever, and then we chained our programmers to their desks until they made our ideas a reality. Right now, we're in full churn mode, with more features, quests, and locations coming available on a daily basis. We're starting to move beyond simply playing the game for bug testing purposes, and playing just for the experience of the game. It's an exciting period of development. GB: What exactly is "Oblivion", and what does it mean to Tamriel and the Elder Scrolls universe as a whole? Gavin: The quick and dirty answer is that Oblivion is The Elder Scrolls version of hell. It's the realm of the demons what we call daedra and in general, it's not a very happy place. In fact, our main quest plot revolves around a Daedric assault upon the mortal realms. There are many different facets to our concept of Oblivion, though, and not all of them are purely evil. The spectrum of daedra runs all the way from malevolent to mischievous to benevolent. Perhaps at some point(s) in your quest, help will come from unexpected sources. GB: Do you plan on sticking with a vast single player experience, or will Oblivion potentially offer some sort of multiplayer component? Gavin: Our opinion has always been that there's plenty of life left to be wrung from the purely single-player RPG, and we plan on wringing with all our might this time around. Thus, multiplayer for Oblivion is off the table. I'd love to do a non-massively multiplayer RPG at some point, though the inherent technical and design challenges (especially considering how much we love to push the envelope) make the proposition rather frightening to me. GB: It sounds like you're making quite a few tweaks to the combat and transportation systems this time around. Care to give us a few details about each? Gavin: Saying we've (tweaked) the combat system doesn't do justice to the overhaul it's getting. We demolished the Morrowind system of combat, and from its ashes arose something deeper, more engaging, and featuring a better blend of player skill vs. character skill. We threw out the wacky to-hit random rolls. Now if your sword hits an enemy, you've hit him, plain and simple. That simple change makes a world of difference in the experience. Combat is far less of an abstraction now. No longer is simply clicking over and over and hoping that a random die falls in your favor a viable strategy. Now your enemy's sword is something to be avoided, so you move. You dart in and out, getting in your swings while dodging out of his reach. You block with your shield or parry with your sword, then dash in as he recoils. Hit him with a strong enough blow, and watch as he staggers back, leaving himself open to your assault. We haven't taken skills out of the equation. They are integral to your combat strategies. If you're starting out and come up against someone with a 100 skill in their weapon, you better start hoping for some godly intervention. Skills modulate your damage-dealing and defensive capabilities, as well as provide you with new combat moves to execute, and other perks. We've gone through three complete and fully realized combat systems prior to this one, and we really feel that we've achieved a very nice balance between the action-oriented combat that the Elder Scrolls have always featured, and the statistic-driven gameplay of a pen-and-paper RPG. Transportation around the world is another area people were very critical of in Morrowind. This time around we've taken a long look at how players get from one location to another, and gone to great lengths to implement improvements. We have reinstated a (fast-travel) system similar to what was featured in Daggerfall and Arena. Now, if you've visited a location, it will show up as an icon on your map. Simply click there and the game will take you there. When you arrive, time will have passed realistically, and NPCs will be where you would expect them to be based on their daily schedules. No more tedious hours of trekking back and forth across the entire world to locations you've been to before, unless you're into that sort of thing (and it's amazing how many players are). You still have the option to traverse the great wilderness of Cyrodiil on your own two feet should you choose. And as I said, with only a few exceptions, you can only fast travel to places that you have previously visited. Exploration is a huge part of the Elder Scrolls games, and players should rest assured that there will be plenty to keep you exploring for hundreds of hours in Oblivion. GB: What notable changes, additions, or enhancements do you have planned for character creation and advancement? Gavin: Character creation in most RPGs is an abstract process. You stare at menus, pick some options, roll some dice, and a character is spat out at your feet. The entire process relates very little to the experience of playing the game. You're largely taking guesses at what skills or stats might be fun or useful to you before you play. In Morrowind, we tried to move away from that abstraction by having character generation be an actual section of the game you experience. With Oblivion, we're taking that concept even further. Our character generation sequence takes place as a flight from the emperor's assassins, and as you play through the opening, you get to experience different aspects of the game before you commit to a character type. Naturally, all the old options for creating your own custom class will be making a return as well, all wrapped up into this fluid experience.